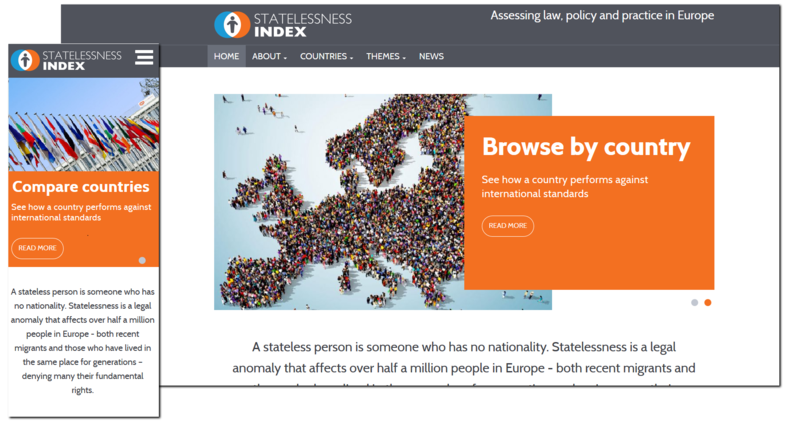 ENS had a strong concept for the site - a comparison tool for rights and treatment of people without nationality in 12 European countries. The site has a simple and intuitive interface for users (no clickable maps or search) but presents detailed information and facilitates comparisons of many criteria, it displays ratings in an easy-to-read format, on an attractive, on-brand, mobile responsive visual design. 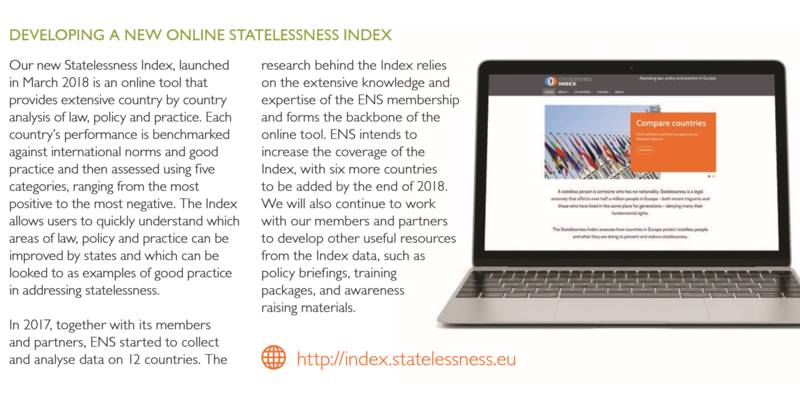 We completed the project in around 12 weeks, on budget, and launched to great acclaim (including a tweet from the EU Human Rights Commissioner), we enjoyed this partnership with ENS and Wave and are pleased to have implemented a neat project with a practical application. Previous web projects with refugee and migrant organisations include EIN and EDAL.